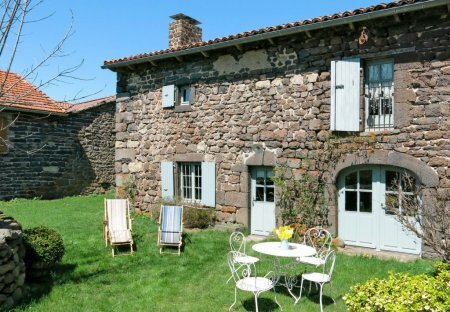 Rent houses and villas in Haute-Loire, France. 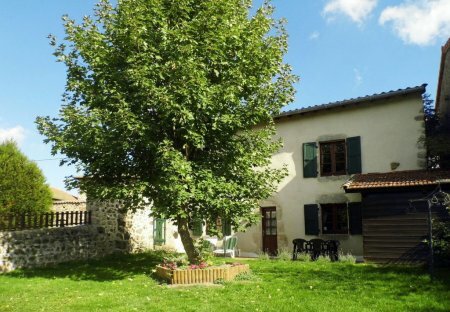 This 4 bedroom house is located in Ouides and sleeps 7 people. It has garage. This 2 bedroom house is located in Monlet and sleeps 4 people. It has a garden, parking nearby and a gym. This 2 bedroom house is located in Blassac and sleeps 6 people. This 1 bedroom house is located in Beaux and sleeps 4 people. It has WiFi. This 3 bedroom house is located in Solignac-sur-Loire and sleeps 8 people. It has a garden, garage and parking nearby. This 1 bedroom house is located in Blesle and sleeps 2 people. It has WiFi. This 2 bedroom house is located in Vielprat and sleeps 4 people. It has WiFi. Beautiful house for up to 15 with 7 bedrooms, in the magnificent village of Lavoute Chilhac, a few steps to the Allier River. Ideal for reunions with family or friends, a great place to relax!